The Mont Pelerin Society is fortunate to have Peter Thiel speaking at this year’s General Meeting in Gran Canaria, Spain. Known as the articulate libertarian, Mr Thiel spent most of his career in Silicon Valley. A co-founder of PayPal in 1998, he knows a thing or two about the entrepreneur and venture capitalist. Also a philanthropist, political activist and author, Mr Thiel invested in Facebook in 2004 before joining the board as a director. He created the Thiel Foundation which offers fellowships for under 20’s and funding for early researchers in science and technology. The foundation also focuses on the politics surrounding freedom and anti-violence. Thiel and his libertarian views have long stood out in the left-leaning San Francisco Bay Area, especially after his backing of Donald Trump’s presidential campaign, but he has stayed firm. He attracted controversy with the Gawker vs Hulk Hogan law suit in 2011 and successfully helped bring down the so-called “media” company. His 2014 book, Zero to One: Notes on Start Ups or How to Build the Future, is a bible for start-ups and builds on his extensive experience in business. The New York Times bestseller outlines methods for creating a successful business and different ways of thinking. (Mannkal’s Llew Cross summarises the book here). 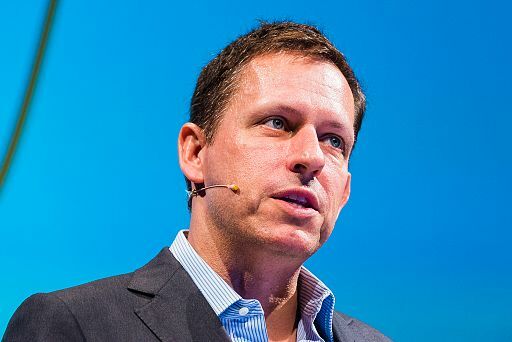 After rethinking his position in Silicon Valley, Mr Thiel has recently moved himself out of the area and now focuses on his philanthropic pursuits, among other endeavours. Attendees at the Mont Pelerin Society General Meeting will enjoy Mr Thiel’s cocktail reception and fireside chat in the Hayek Auditorium. For more wisdom from this great thinker, watch his interview with Dave Rubin on The Rubin Report. Peter Thiel is a confused libertarian, at best. Suing Gawker was initiating force, invoking the power of the court and the police who enfore their decisions, to gain power over an opponent. Too bad if he doesn’t like what Gawker said in print – take it like a man rather than initiating violence against Gawker and its owners. Providing services (Palantir) to police and government intelligence agencies to help them track down and keep track of many people whose only offenses are, at worst, victimless, is not libertarian. Supporting Donald Trump, a bully and megalomaniacal wielder of political force, is not supporting the non-aggression principle. Thiel should not be considered a friend of liberty when he befriends and profits from his relationships with its enemies.